All right Star Wars fans. 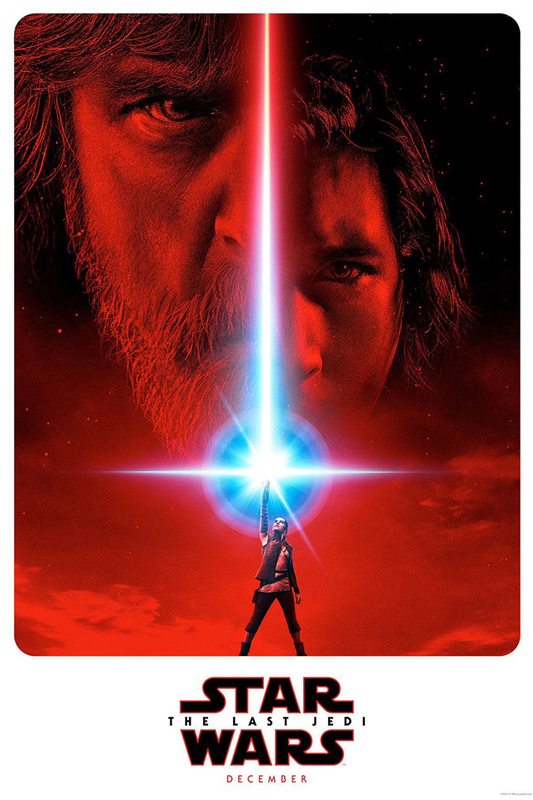 The poster and a new trailer teaser for Star Wars – Episode VIII: The Last Jedi were released today. My thoughts… the trailer is obscured, which I understand, but it still gets me excited to see the movie in December. The poster is grand, a strong statement. Doesn’t answer any questions, but I don’t want spoilers until I see the movie. So I get it. Your thoughts? Post comments below. I, for one, cannot wait for this to come out. I watched the teaser 3 times in a row and I don’t care. That’s awesome. I share my excitement for the wait. That poster is the wallpaper on my home screen. Yeah, I found a nice high quality JPG and have it saved on my phone.